This review will cover what is known regarding exosomes and allergy, and furthermore discuss novel mechanism of exosome-mediated immune modulation and metabolic regulation via the transfer of mitochondria. Exosomes are nano-sized extracellular vesicles (EVs) derived from the endosome that play a direct role in governing physiological and pathological conditions by transferring bioactive cargo such as proteins, enzymes, nucleic acids (miRNA, mRNA, DNA), and metabolites. Recent evidence suggest that exosomes may signal in autocrine but, most importantly, in paracrine and endocrine manner, being taken up by neighboring cells or carried to distant sites. Exosomes also mediate immunogenic responses, such as antigen presentation and inflammation. 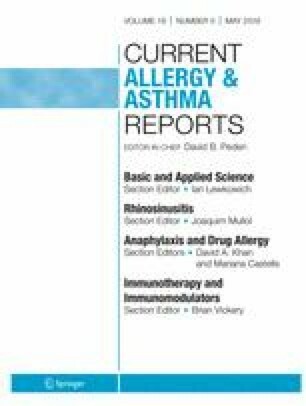 In asthma and allergy, exosomes facilitate cross-talk between immune and epithelial cells, and drive site-specific inflammation through the generation of pro-inflammatory mediators like leukotrienes. Recent studies suggest that myeloid cell-generated exosomes transfer mitochondria to lymphocytes. Exosomes are nano-sized mediators of the immune system which can modulate responses through antigen presentation, and the transfer of pro- and anti-inflammatory mediators. In addition to conventional mechanisms of immune modulation, exosomes may act as a novel courier of functional mitochondria that is capable of modulating the recipient cells bioenergetics, resulting in altered cellular responses. The transfer of mitochondria and modulation of bioenergetics may result in immune activation or dampening depending on the context. KPH and JSD outlined the review and together drafted and completed the manuscript. The study was funded by the following funding sources: R01HL128502, P01HL114470, FAMRI YCSA 2010, and Parker B Francis Foundation. Simpson RJ, Mathivanan S. Extracellular microvesicles: the need for internationally recognised nomenclature and stringent purification criteria. J Proteomics Bioinformatics. 2012;05. https://doi.org/10.4172/jpb.10000e10. Kiriyama Y, Nochi H. Intra- and intercellular quality control mechanisms of mitochondria. Cells. 2017;7(1). https://doi.org/10.3390/cells7010001.